Udaipur : The bodies of a father and daughter were found hanging by two ends of a saree tied to a ceiling ring of their home in Ambamata area of the city here on Sunday. The father-daughter duo committed suicide when the man’s wife had gone to temple with their elder daughter. Police said it appeared to be a case of suicide though no letter or note was found from the house. 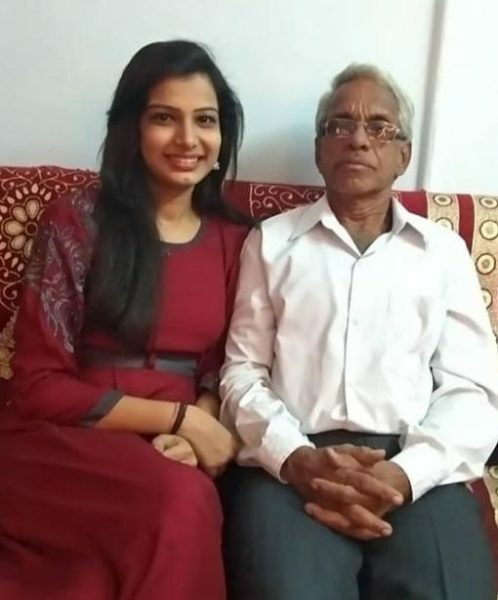 Lalit Prakash Paliwal (63) and his daughter Kritika (20) were found hanging from the ceiling of their home on Sunday afternoon. Paliwal had retired from the public health engineering department three years ago. He had four daughters, two of them were married while the third one was a divorcee. Kritika was his fourth daughter who taught in a private school. Paliwal had borrowed quite a large amount of money from several people. He had a house at Rampura choraha which he had mortgaged to one of the money lender in lieu of a loan. He had to give away the property due to non-payment of loan and hence was under stress for some months. Paliwal and his family lived in their ancestral house in Ambamata scheme. Family members told the police that the father daughter had had a heated conversation over financial matters in the morning. Later his wife and daughter left for temple and when they returned after an hour, they found the bodies hanging. The police said perhaps the girl had committed suicide first and when her dad saw her hanging, he too hung himself with the other end of the cloth. The police is yet to receive a report from the family members though an investigation has begun.